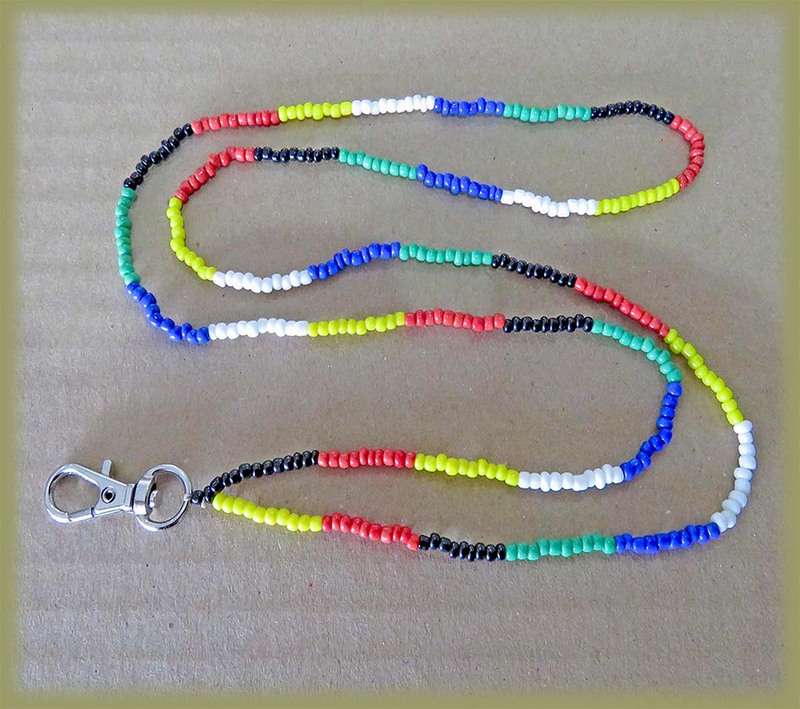 SA Flag Beaded Lanyard Single Strand. Can also be customized to incorporate any other flag or corporate color. Plastic lanyard pouch also available.